Hardships, victories and lawsuits. An update with Cesar Grajales. It was roughly a year ago that I first spoke with Cesar Grajales. In that two part interview, he was extremely forthcoming about his time at Rock Racing, the realities of being a professional, and even about Pablo Escobar's connections to cycling in his native Manizales (That interview was split into two parts. 1 and 2). A talented Colombian climber, Grajales has been racing in the United States since 2001. During that time, he has experienced a fair amount of difficulty, along with success. After winning the Brasstown Bald stage at the Tour of Georgia in 2004, Cesar went on to sign with Rock Racing, only to be removed from the team (in order to make room in the roster for Mario Cipollini). When we spoke last year, Cesar had signed on with the Bahati Foundation team, as Rock Racing fell to pieces. Now, a year later, I spoke with Cesar again to see what had transpired in the last year. He's currently in Colombia, training for the upcoming season, and not surprisingly, he has once again been there to see some of the sport's biggest headlines transpire. He was Floyd Landis's teammate as he (Landis) released his admissions and subsequent accusations. It was then that the Bahati Foundation team itself began to fall apart. As this was happening, the press began to contact Grajales about the ongoing doping investigation of Michael Ball, his old team's owner. If this all weren't enough, Cesar is currently involved in yet another difficult ordeal. A lawsuit against fellow Colombian rider, World TT champion, and Mountains Classification winner at the Tour, Santiago Botero. When speaking with Cesar about the amount of turmoil and heartbreak that he's experienced as a professional, you instantly notice how unfazed he is by it all. Difficulties that would seem insurmountable to others, are mere inconveniences to Cesar. His dream was to race his bike, and he has that dream. The rest, it would appear, are simple details. The interview was conducted in Spanish, and then translated into English. Since some rather serious topics were discussed, I cleared my translation with Cesar before publishing it, to ensure that I had not inadvertently changed his intended response to any of the questions. Hyperlinks included in his answers were added by me. Cesar, the last time we spoke was in March of last year. So much has happened since then. At the time, I would have never thought that the team you were in would almost completely come to an end, or that Floyd Landis would go public with his admission and accusations. It’s been a crazy year for you. Let’s start with Floyd. Did the people in the team know that this information was going to come out? Did you know? Well, before all of Floyd’s information came out, we knew it was going to happen. We knew about it since Joe Martin [stage race]. As late as the Tour of the Gila, the team kept telling us that there was a chance that we’d be racing the Tour of California, but we weren’t told any details about what was going on. After Joe Martin, I went to Georgia to supposedly train for the Tour of California. We were then told that we wouldn’t be racing, but that we should go in order to be at a VIP area that Floyd’s doctor friend [Brent Kay, of Ouch Medical Center] had. We were told to be there because Floyd was going to make a big announcement. Some of my teammates specifically said they didn’t want to go. I didn’t say anything either way, but we later found out what the announcement was going to be. With that, the team basically came to an end. Ouch was out of the picture, because the team managers had never reached an agreement with them. So was the sponsorship agreement more with Floyd than with the team? Yes. Well, it was both…but once Floyd wasn’t going to be racing, the agreement fell apart. On a personal basis, and as a teammate, how was Floyd, specifically leading up to his emails being released? He was a very good teammate. At the Tour of the Gila, I was third on the first stage. I was behind Levi and Danielson. Floyd was very kind to me, and told me that if I needed a wheel or his bike, he’d be there for me. He was always there, and helped plan things out before stages. I was surprised by how giving he was, when you consider the places he’s been, and the things he’s accomplished in the sport. Off the bike, he was great to have around. We spent our time laughing, and joking around. Do you have a contract for this season? Bahati ended, and became On The Rivett, right? Is it basically the same team still? The team is called RealCyclist.com now. It’s what Bahati team became. Last season, as things fell apart, it was really thanks to On The Rivet and Louis Garneau that we were able to keep going. So it’s the same team, and this year we have Real Cyclist.com as a sponsor. Controversies aside, how did your year go on the actual cycling side? I think it went very well. I was very proud to win the mountain classification in Philadelphia [International Championship]. In other races, I was always close. I was always there. I did well at the Cascade Classic, Tour of Utah, and the Tour of Gila, where sadly I was very sick for on the last day. But in spite of many obstacles, it was a solid season. Well, one thing that I have yet to do in my cycling career in the United States is the Tour of California. Right now, there’s a small chance that we could be invited. We don’t know, but we certainly hope that’s the case. Luckily, there’s now three UCI races in the United States that are stage races, and have a good amount of climbing, which suits me. California, Utah and the race in Colorado [Quiznos Challenge]. Add to that Gila and Cascade Classic, and you could have a very solid season for any road cyclist. Part of training for those races is why you’re in Colombia right now, right? Yes. I’m waiting to get final word on some of those races, and that would determine my training in Colombia. Last year, before Utah I was unable to come and train at altitude. That really, really hurt me. This year, we have a sponsor, and we have a calendar, so things are very different. Last year, I didn’t even know what was going to happen, so training was difficult. If I train here, those races will just feel like I’m racing back in Colombia. So you’re training in Manizales, and one of your teammates is there with you right? Yes, Oscar Clark. He’s one of the young members of the team. He’s over here training with me. He loves it, he says it’s beautiful, but also very, very hard to train here. In a good way. 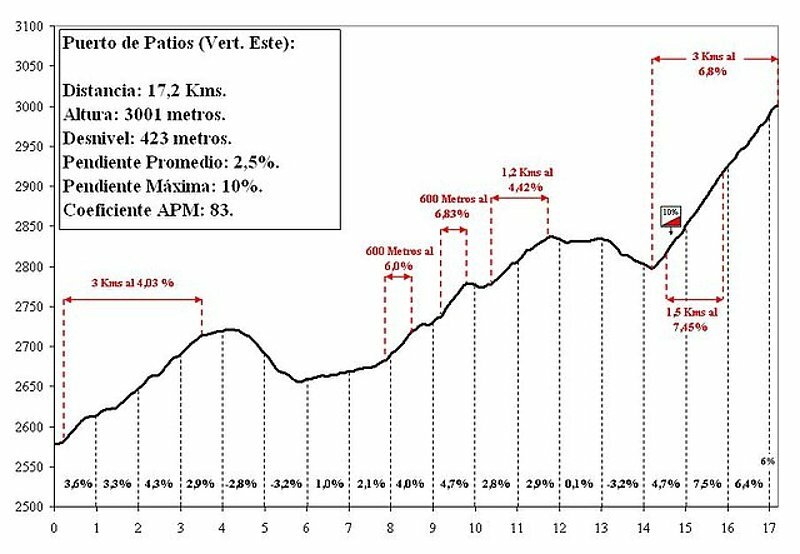 The topography around Manizales is relentless, so the way that you usually end a training ride here is with a 20km climb to get home. That’s just how it is. Anyway you go, that’s what you’re faced with. So it’s been hard for him, but he has a very positive take on it, and he knows that this is something that will make him stronger. Fortunately, the weather has also been great while we’ve been here. We’re having amazing sunny skies. Are you both staying with your family in Manizales? No, we’re renting a very nice furnished apartment. This week, Oscar is staying with a friend from the United States, who was a sponsor of the Jittery Joe’s team, and has a house here. The training has been great. Many people who read the blog send me emails asking about training in Colombia. Since Colombia doesn’t really have seasons, is inexpensive, and has wonderful terrain, I see why it would peak some people’s interest. Since you’re there now, what would you tell people who want to go train there? You can certainly do it, at least in Manizales. Bogota, as I see it, would be tough. It’s just a massive city, and the riding can be a little tougher. In places like Manizales, Pereira, or Armenia, it gets easier to do…although not the terrain. So that’s good. Having someone to show you around is very helpful. Once you know your way around, you’re fine. All last week, I was in Bogota taking care of all kinds of stuff, and Oscar was on his own training. Never had any issue, and had a great time. As I see it, it’s a perfect alternative to training in the winter for people who live in the States or in Europe. You can get a direct flight to Manizales from Fort Lauderdale, so its an easy and short trip. You’re at altitude, its great riding, and it’s inexpensive. Even getting a very nice furnished apartment here is cheap, so it’s an amazing place to train. Yes. When I was just in Bogota, I stopped to drink some juice when I was riding up to Patios, and someone mentioned that there’s now a collection of good rides in Colombia online. So maybe that’s a start to more people coming here, and knowing where the good rides are. The issue is that people who have not come here are so concerned about their safety. Americans may hear about Colombia, and the mere mention of the country makes them panic. But in reality, that’s just not the case. The reality is that Oscar has been here, training alone, and of course nothing happens. This is especially true around here, Manizales and places like this. It’s very laid back around here, and there’s no problems. It's safe. Last time we spoke, you mentioned how you’ve taken cycling shoes, helmets and all kinds of items to young cyclists in and around Manizales who are starting out, and come from very poor families and neighborhoods. Are you still taking donations? Yes, yes. As a matter of fact, only a few days ago we went to the velodrome here in Manizales. Because it’s so mountainous here, if you want a flat ride, you basically have to go to the velodrome. It’s about 400 meters, and the turns are fairly flat, which is great because then everyone can use it. Oscar wanted a flatter ride, so we’ve been going there every other day or so. Anyway, we go to the velodrome, and Oscar was amazed by how many of the kids riding there have jerseys from teams and clubs in Georgia. He didn’t understand, and thought it was very weird. So I had to remind him that the jerseys got to Manizales through me, all donated by people for the kids to have proper jerseys. It really makes a big difference for them. He thought it was very funny. While you’ve been in Colombia, have you seen any of your ex-teammates like Victor Hugo Peña or Santiago Botero? Have you trained with them? Well, I’ve been in touch with Santiago in a way. Because of the lawsuit. It all stems from the fact that I acted as his agent for the deal with Rock Racing. Basically I was supposed to be paid a fee for that service, which we agreed on. It's a standard fee, and he never paid it. We agreed that if Rock paid the fee, he wouldn’t owe me anything out of his own money. But if Rock didn’t pay it, he’d pay me the percentage out of his salary. This is all because I was his agent for that deal. So the team paid the commission, and they deposited it into his account. He said we’d straighten it out, since half of it would be in his account on the 15th of July and the 15th of December. This was in 2008. Then Rock Racing fired him from the team, when he still had two or three months on his contract. Regardless, my fee was deposited into his account. So at that time, he called me and simply said he was not going to pay me my money. He said that it was his money, and he was keeping it. So that’s what I’m going through right now, trying to get that money, which he agreed to pay me. And this is happening in the Colombian courts? Have you seen Santiago recently, in person? My communication with him has been through the phone and email. Last time I saw him was at Interbike in Las Vegas. Where does the case stand right now? He’s been called to be interrogated twice now, and he has not shown up. And this is all based on a contract between the two of you? There was a verbal agreement. Which is legally binding. I also have all the emails from him regarding this, so there’s all this proof regarding the agreement and the specifics that were agreed upon. Did you try to sort this out before getting lawyers involved? Oh yes. I reached out to Santiago. I asked him how we could solve this to make it right. I told him that first and foremost, we are friends. So I told him that if he couldn’t give me all the money, maybe we could figure out something, a smaller amount, to make us both happy. So we agreed to meet up at La Pintada [a municipality some 80 miles away from Medellin], since he has a country house out there. He said we’d sign a paper at the notary, get it all done, and he’d give me the money. I called him a week later to figure out the specifics on where we’d meet, and he changed his story. He said that he’d changed his mind, and that he wasn’t going to give me any money, because I had spoken to the press or something. Apparently a reporter from El Tiempo [Colombia's biggest newspaper] called him to do an interview, and in the interview he was asked about this money he owed me. So that was his reasoning for not giving me the money. He treated me rather badly on the phone, and told me that I could go do whatever I wanted about this whole thing. So that’s how I ended up having to sue him. He’s now been called twice to testify, and he hasn’t shown up. What will happen is that they’ll have to make a public announcement in writing about him being asked to testify. That means that the request will be printed in the El Colombiano newspaper [the local newspaper in Medellin and Manizales]. If he doesn’t show up, by default it proves to the court that what I’m saying is true. And he’s not going to show up. This much I know, its very, very clear to me. This is how it’s going to go down, and I know it. He’s not going to show up, and lie in court. If he does, he could get up to 12 years in jail. So he’s not going to show up and lie. So he won’t show up at all, he’s not gonna’ run that risk. So let me understand. The checks from Rock Racing came twice a year? Is that how Santiago was paid? No, he was paid monthly. In that payment, was my percentage. And he decided to keep it. And what was the percentage that was agreed upon? 10%, which is the standard amount. And that was our agreement, if Rock Racing paid it. If not, then it wouldn’t be that high, since it would come out of his salary. In the last couple of years, you’ve experienced something very different from what you probably thought cycling was when you were growing up. There’s been teams folding, bad management, scandals, and money problems. This year, you dealt with Floyd’s admissions to doping as he was your teammate, and then there’s this lawsuit. Is the sport very different from what you thought it would be? Maybe. But see, it’s not just that. In regards to the lawsuit, the thing is that I really believed in Santiago so much, for such a long time. So that’s the thing. Now I see how things are. By the way, this all came up while I was having beers with Rudy Pevenage at one point. Do you remember him? Yes, director for T-Mobile right? Was that during Santiago’s time at T-Mobile? Right. Rudy said, “I got him that much money from the team, and yet he wouldn’t even pay me the twenty five thousand back!” I spoke with Oscar Sevilla later about it. They had the same agent in Spain at one point. He said that when Santiago left for T-Mobile, he had someone else help him with the deal, even though he had a signed contract with that agent. He refused to pay him, even though he had to. So the agent sued him for the money, and won. So Santiago had to pay him. Victor Hugo [Peña] also told me a similar story. So there’s a pattern and a history to all this. Aside from all this, there’s been recent news that Floyd Landis possibly wore a wire to implicate Michael Ball [Rock Racing owner] in doping. Specifically, this was about the possibility that there were blood doping products in Ball’s apartment. When you hear something like that, are you shocked, or is it consistent with what you knew about Michael Ball. I don’t know. I mean, if it had been some other type of drugs, I wouldn’t have been surprised. You mean recreational drugs? Like something not used for cycling? Yeah, I mean if they tell me that they found hallucinogenic drugs or some kind of party drugs, I wouldn’t be surprised. I didn’t even know about all this until today though. A friend of mine read it somewhere online, actually, it was my friend who I mentioned earlier. The guy who was a sponsor for Jittery Joe’s and has a house here. He’s the one who mentioned it to me. I knew something was up a while back though, because I started to get calls from the New York Times, and then the Washington Post about Floyd. They would ask about Floyd, but then they would always ask me questions about Michael Ball too, and I started to ask myself, “Why Michael Ball?” Then the news came out that he was being investigated, but I never knew that it was Floyd who had been involved in that investigation. So did an investigation into Michael Ball strike you as unusual? Well, as I told the reporters that called me, I was never in that team’s inner circle. That was always very clear to me. I was certainly never invited to his apartment or anything like that. Remember, I was kicked out of the team [Cesar was kicked out in order to make room for Mario Cipollini at the Tour of California]. I had to beg to be allowed back in. I think you probably remember all this from the last time we talked. Yes, I do. I know you mentioned that fact that at the first team training camp, there were two houses. One with all the guys who had raced in Europe, and then the other house with the rest of you. Their house had a chef, and you had frozen meals. It was an obvious division. Almost as though there were two teams. But even with that in mind, I have to ask this. Did you ever know or hear anything about doping within the team? I certainly didn’t know of anything like that. No. I do know that I just wasn’t part of their inner circle. Whatever transpired between Michael Ball and those who were close to him, I’ll never know. I don’t know anything about it. We were basically two teams. At that first team camp, there was “house #1” and “house #2”. In that first house was were all the riders that came from the Pro-Tour stayed. But it was also where Kayle Leogrande stayed. So he was the only one that didn’t come from the Pro-Tour, who stayed at that house. Hmmm. Very interesting, to say the least. Pretty unusual scenario. With all this mind, you must be pretty disappointed. I mean, you’ve now had a few difficult years within the sport. Well, yes. The two years with Rock were hard. Last year with the Bahati Foundation was hard, because we started on such a high. The cause [The Bahati Foundation] was very good. I felt like it was something new and very positive for the sport, but sadly it fell apart half-way through the season. What we managed to do last year, was all out of sheer will and determination. People like On The Rivett, Shimano, Cannondale, and Louis Garneau stuck in there. Louis Garneau in particular. Louis Garneau, the man, was himself involved. He was a huge help. As for my time with Rock, those were years in cycling that I lost. Looking forward, if we talk again at this time of year in 2012, what do you hope we’ll be talking about at that point. What do you hope will have happened in this season coming up? I hope we’ll talk about the team having been picked to do the Tour of California. I would love it if we could do something big there, a stage or something along those lines. We’ll see what happens. If any of you are Spanish speakers, here's a news story about the ordeal with Santiago Botero. Lastly, thanks to Cesar for his time, and for once again being so forthcoming during the interview.